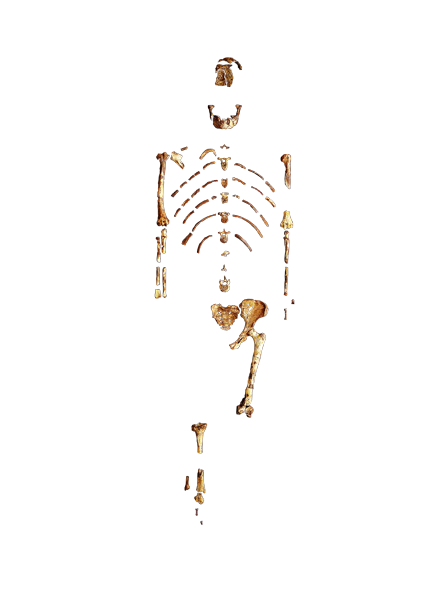 Hominin (Stanford) – A member of the primate family Hominidae, distinguished by bipedal posture, and in more recently evolved species, a larger brain, which includes humans and our ancestors since diverging from the last common ancestor with chimpanzees approximately 7 – 11 million years ago (MYA). All hominins share a number of physical traits. 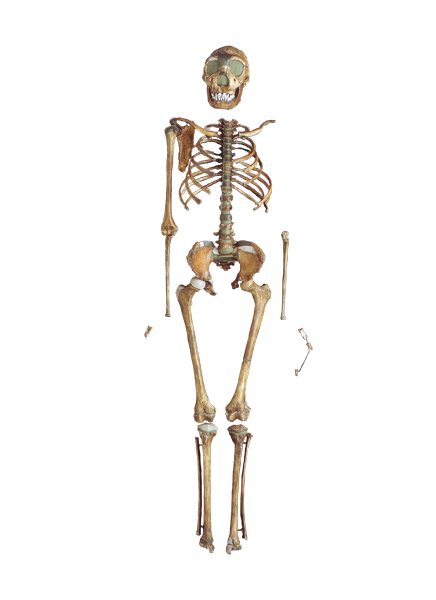 These include modifications to the pelvis and legs that made bipedalism possible. Hominins have undergone masticatory changes involving the loss of the shearing complex and reduction in size of the postcanine teeth. Post cranial adaptations were accompanied by a forward shift of the position of the foramen magnum. While most of these traits were developed by approximately 5 MYA, our characteristic big brain did not begin to develop until approximately 2 MYA (Fuentes).